I’ll take a guess and say more than 60% of you are reading this sentence off your phone. Every day we use our devices to expand our connectivity with the world around us. We text our co-workers and colleagues to remind them about an upcoming meeting. We call our bosses to confirm an important deadline. We search for information when we don’t know the answer. If you share the same directional ineptness I do, you use your Maps app to find the nearest Starbucks on a near daily basis. As a young professional, I use the following social media sites to promote my brand: Facebook, Instagram, Linked In, and Twitter. 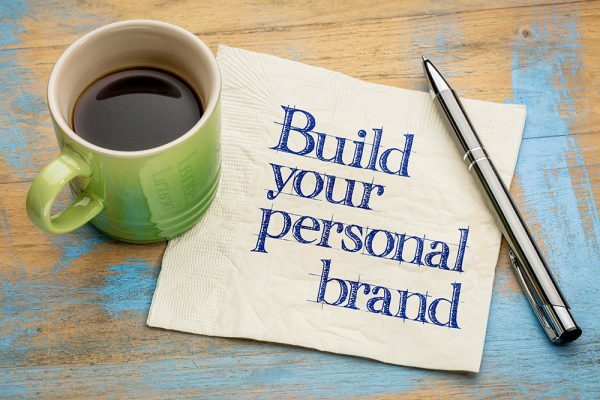 Creating a personal brand will make you stand out in an increasingly competitive world. “It helps your clarify and express the value you can deliver to your employer and coworkers” noted William Arruda, a Forbes Blog Contributor. By using your social media to network and promote your organization, you are demonstrating your value beyond your daily operational work performance. Developing a personal brand will bring countless new opportunities to you! On Facebook, I connect with similar-minded individuals who will encourage me throughout my daily excursions and who leave positive footprints on their own social media. I originally started after college to reconsider “why” I added individuals into my online circle. Mostly, I realized I felt different when people shared their accomplishments of success rather than oversharing their personal relationships with significant others. I wanted to add my own positivity into the pipeline for other people to appreciate as well. Instagram “me” loves visiting local restaurants and shops. I use my interest to my advantage and promote businesses to increase awareness among my followers. I highlight current deals or specials throughout town. I use my account to foster and cultivate relationships with business owners all across my city. I expanded my interests to distinct products I review. One business event sent me a free shipment of products for me to try! Know people are watching you. Admittedly, I didn’t think too much when I made posts to my social media back in college. My biggest mistake. The woman you are in college takes at least three years to rebrand. If you plan to work in the same city you went to school in, all those “college friends” suddenly become your community peers. Think twice about who you include in your selfies, the places you frequent in your photo, and even the environments you surround yourself. Establish barriers between you and social media you. Ever get exhausted, upset, or concerned about the world around you? Ask yourself why before diving into a deep existential journey. My assumption is you spend a significant amount of your time on social media. That’s okay, but it will emotionally drain you. Whether you take a break from it all together or not, remember you are not who you portray yourself in cyberspace. There are no limitations to your abilities to change, grow, and aspire to new heights. Don’t worry about the decline in likes you received after a situation from last week. Focus on the present…and the real you! Take ownership for yourself. If your employer requires a specific demeanor on social media, make sure you understand any and all repercussions. An excellent interview questions is inquiring how social media plays a role in your workplace culture. Think twice before adding a colleague, co-worker, or community peer. Whistleblower policies are becoming more prevalent, meaning social media “you” is seen the same as workplace “you”. But work it! Social media is our way for us to show a side of ourselves we do not get to do 40+ hours a week. Take the snapchat of your excitement for the new pair of sunglasses you bought. Post the silly picture of your friends and you at the lake to your newsfeed. Update your LinkedIn to brag on your new certification for Adobe Suite.